Our round-up includes a wonderful 15th century house in the Hampshire village where Jane Austen lived. This beautiful period farm house in an idyllic rural setting is surrounded by beautiful grounds, with land extending to around 23 acres. 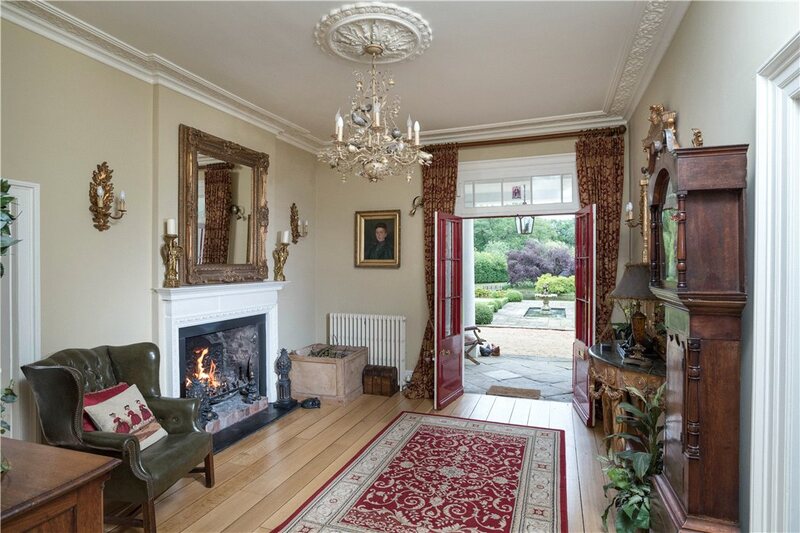 Dating from the 1850’s with later additions, it provides 5 bedrooms, adjoining coach house, garaging and tennis court. The kitchen/breakfast room features an Aga and double doors onto the terrace, while the drawing room is double aspect with doors into the garden, vaulted ceiling and Jet-master fireplace. Also included is the Coach House across the courtyard which offers superb potential to be turned into ancillary accommodation, subject to planning. The Dower House occupies an important position in the heart of the thriving village of Chawton, East Hampshire, lying within the South Downs National Park, famous as the home of Jane Austen for the last eight years of her life. The original timbered hallhouse was built in c.1450, and some of these original beams are still evident inside the house today. 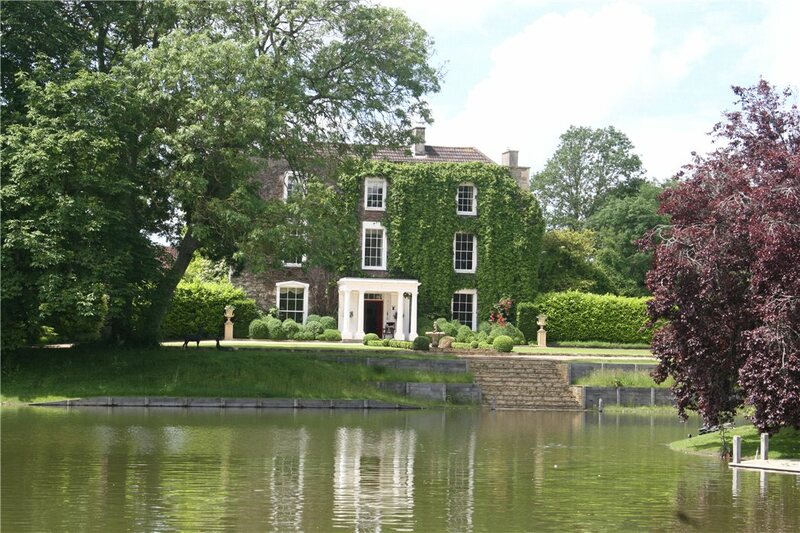 There are seven bedrooms, six reception rooms a double cellar and swimming pool. 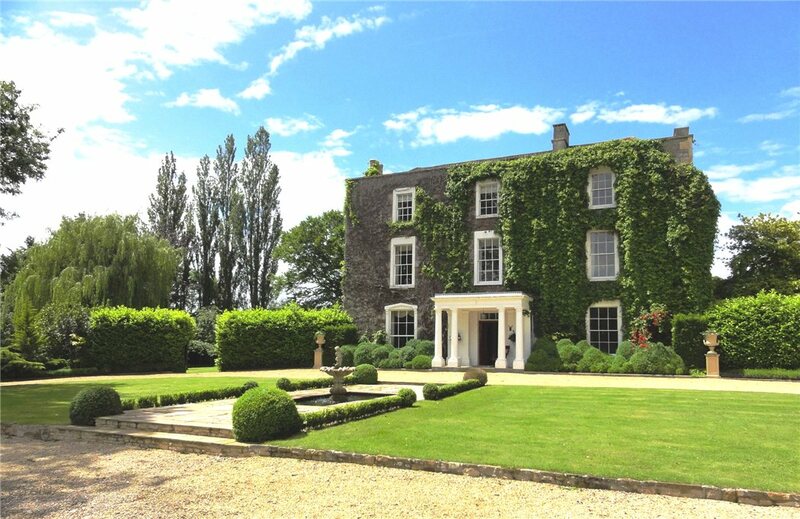 Fieldgrove House (also pictured top) is an attractive country house with glorious gardens and land in a secluded position near Bath. This exceptional and immaculate Grade II-listed Georgian home has six bedrooms, four reception rooms and six bathrooms. 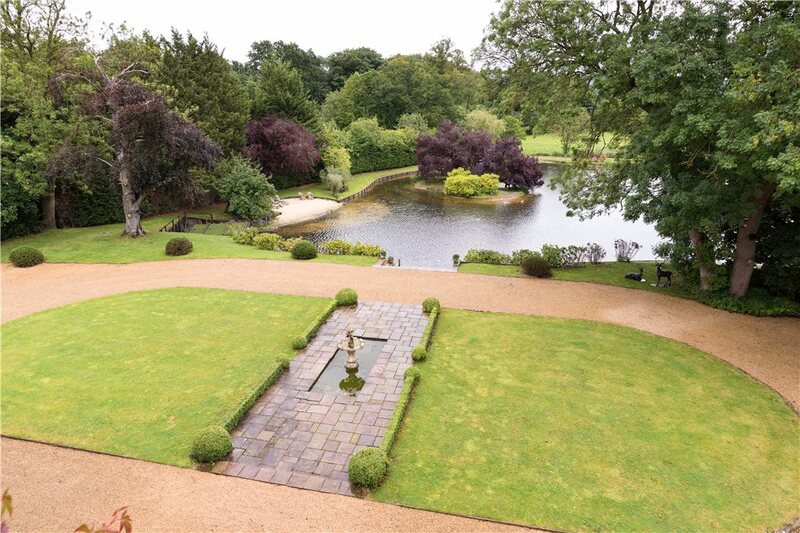 The privacy is enhanced by landscaped gardens and grounds extend to almost 15 acres, which include a separate 1-bedroom cottage, newly landscaped lake with islands and large paddocks.